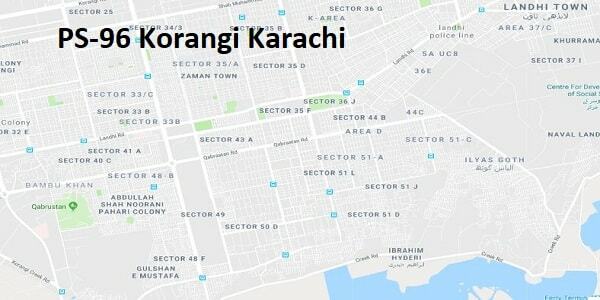 In halqa PS-96 Korangi Karachi-V, the contesting candidate of PPP is Asad Mujahid . Contesting candidate of MMA is Rajab Ali Chishti . Contesting Candidate of PTI is Sajid Hussain .While the contesting Candidate of PTI is Raja Azhar Khan in general elections 2018.